The Pokemon Company has released two videos showing off the world’s first Eevee mascot! In the real world, the Eevee mascot stands upright, walking with two feet on the ground. 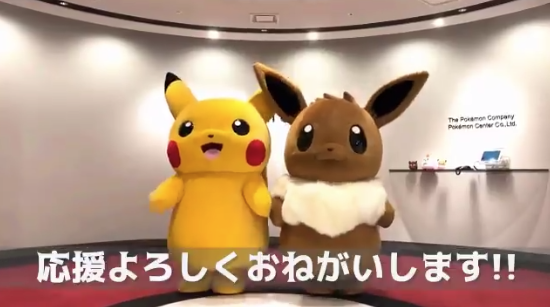 Pokemon fans can soon expect to meet and greet Eevee at Pokemon Centers in Japan, official Pokemon events, and the annual Pikachu Mass Outbreak event in Yokohama.